"Our family rescued Jetson when he was 4 weeks old and he has been a part of our family for four years now. He is missed dearly by his brother and sister. Please help us find him, he is missed dearly!!!! " 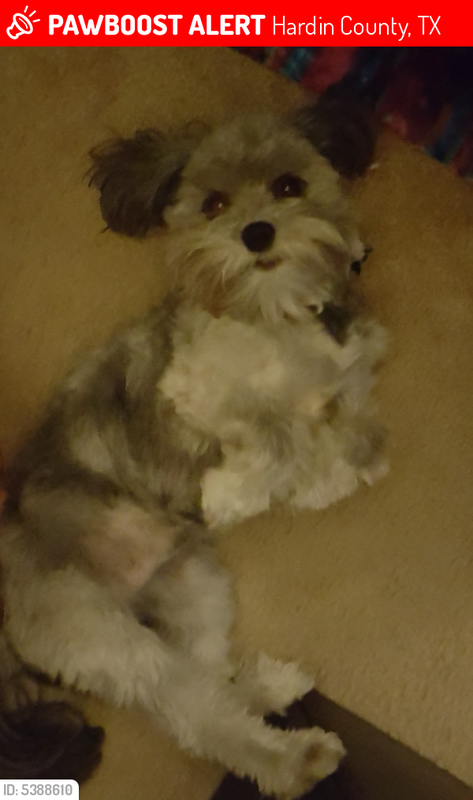 Black, grey hair, white on chest, soft curly hair, 7lbs, not neutered, Maltese mix.